a more natural contact with the ground making them the perfect running shoes for short barefoot runs. without sacrificing breathability. With Nike Free your feet already know how to move, leave them free. How to run barefoot, without shoes or socks, in direct contact with the earth: this is the feeling that inspired the technicians and led to the birth of Nike Free, the perfect fit running shoe, as if it were a second skin. From running to training, from 5 km per day to impromptu sprint: Nike Free allows your foot to move in a more natural way than ever on short distances, while guaranteeing the support and cushioning ideal for dealing with every activity of the day. Discover all the new Nike Free models available on Mister Running, choose comfort and versatility! 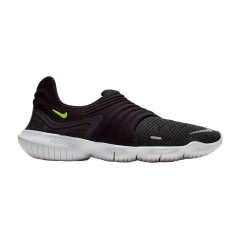 Nike Free 5.0 and Flyknit 3.0, feel the freedom at your feet! Born after a long study in the Nike laboratories with the intention of getting closer to the original model, that of 2004. The new Nike Free 5.0 and Free Flyknit 3.0 are the running shoes designed for short runs, up to five kilometers, and for shots, but above all to promote the "barefoot" race. The new models have a more flexible midsole that offers all the freedom to flex the medial area, open the fingers and give you the push from the ground without feeling constrictions. The low profile design of the new Nike Free brings your foot closer to the ground, creating a perfect harmony between the surface on which you run and the movements of the 52 foot muscles. Maximum flexion and even more natural movements, but without forgetting strength and lightness: these are the characteristics given by the upper, in mesh the first, in knit the second, which protects from abrasion and ensures the support you need. 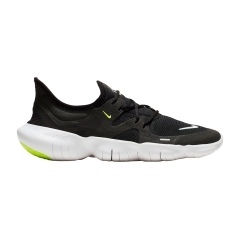 Buy Nike Free on Mister Running: discover the advantages! 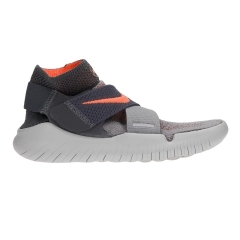 Get the most out of the benefits by buying your new Nike Free from us! Each model you see on the site is always available in stock, ready to be shipped after a few hours. You will be surprised by the speed with which we process your order, delivering your Free at home or at the address indicated by you in 3/4 days. And if you're not convinced of your purchase, you have two weeks to evaluate and return it for free. We will send to our address our courier who will collect the package and you will receive a refund in a very short time. No expense for you, we think of everything!